Browse condos for sale in Terry Cove, Wolf Bay, Soldiers Creek, Old River and all other Orange Beach condos for sale with boat slips. Find recently SOLD condos with sold prices and closed dates and find revenue info for all Orange Beach condos. We've included aerial imagery and helpful sales info for all condos in Orange Beach Alabama with deep water access. 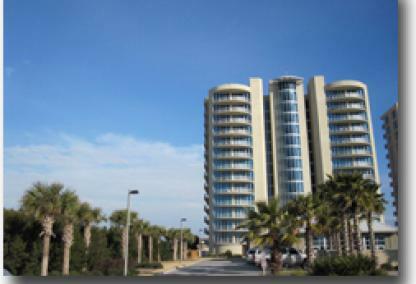 Bayshore Towers condominium is comprised of 88 units located in the "Bear Point" area of Orange Beach on Wolf Bay. Bayshore Towers was built in 2004. Bayshore Towers is a private, gated community in a park setting with heavy landscaping. Some of the amenities include two pools, tennis courts, granite and stainless surfaces throughout, and a wrap-around marina and boat slips available. Bayview condominium is comprised of 128 units on Old River, located near the Florida state line. Its proximity to the state lines means it's close to the world famous Flora-Bama lounge: home of the annual Mullet Toss. Bella Luna was built in 2006 and some of the amenities include a private theater, fitness area, and boat slips are available. Bella Luna condominium is 128 units on Old River located near the Florida state line and that means it's close to the world famous Flora-Bama lounge....home of the mullet toss. Bella Luna was built in 2006 and some of the amenities include a private theater, fitness area and boat slips are available. 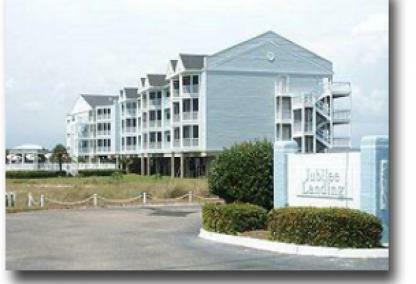 Buccaneer Landing is a low density building in Orange Beach with only 8 total units. 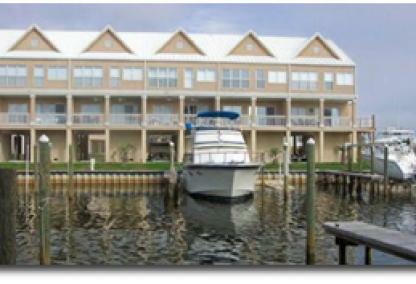 These condos, built in 1983 and come with a private boat slip just minutes from the Gulf of Mexico. Caribe is 3 towers with a resort atmosphere. Caribe has a large marina and is the second closest condo to the entrance to the Gulf of Mexico at Perdido Pass in Orange Beach Alabama. 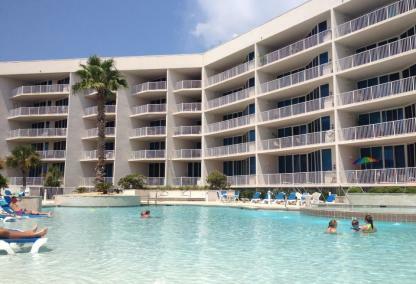 Casa Del Marina condo is 42 units located in the Terry Cove area of Orange Beach. Casa Del Marina was built in 1983 and property amenities include fish cleaning station, 341 feet of canal water frontage, 23 boat slips, temporary trailer storage and boat launch. Cotton Bayou consists of 68 condos built in 1986. Cotton Bayou is located in the Terry Cove area, which is in central Orange Beach. Property amenities for these condominiums include 1st come, 1st serve boat slips and a boat launch. Dolphin Harbor The Dolphin Harbor condominium has 27 units located in East Orange Beach. 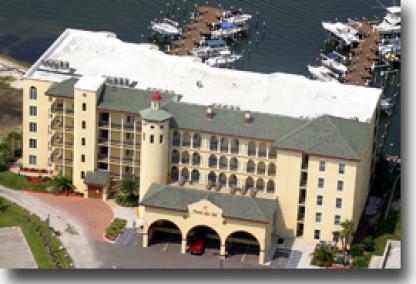 Dolphin Harbor was built in 1996 and property amenities include boat slips, trailer storage, tennis courts, and a river-front pool. 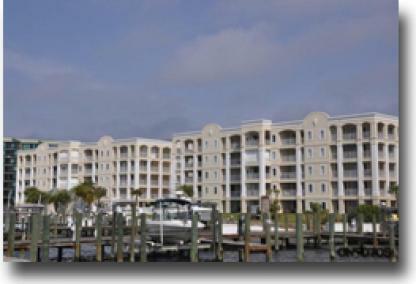 The Fish Camp condos are actually town homes located in the 'Bear Point" area of Orange Beach on Wolf Bay. Cosmos restaurant in the front section of the property serving everything from hamburgers to sushi. Property amenities for the Fish Camp include 1st come, 1st serve boat slips, pool and great location. Harbor Cove consists of 60 condo units built in 1999 and is located on Wolf Bay in Orange Beach, Alabama. Property amenities for Harbor Cove include an indoor heated pool, outdoor bay-front pool, fitness room, BBQ and picnic area, boat slips, tennis court, fish cleaning station, some boat trailer storage, boat launch, and two piers. 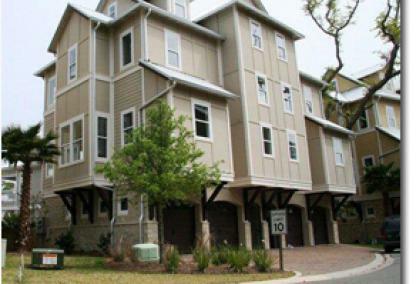 Island Dunes condos are located in central Orange Beach on the Western-most point of Old River. Property amenities include 1st come, 1st server boat slips and a pool. 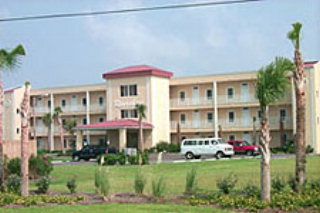 Legacy Key consists of 36 units built in 2004 on Old River in Orange Beach, Alabama. Property amenities include an indoor heated pool, river-front pool, exercise room, and private boat slip with lift. Lei Lani condos consist of 98 units built in 1983. Property amenities include a tennis court, river front pool, beach side pool and indoor heated pool and 1st come, 1st serve boat slips. Mariner Pass consists of 51 condo units built in 2005. Mariner Pass in centrally located in Orange Beach and property amenities include an indoor heated pool, river-front pool, steam sauna, BBQ area, and fitness room. 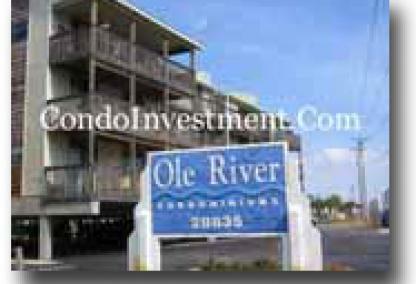 Ole River condos are located in East Orange Beach on Old River. Property amenities include 2 pools, tennis court, boat slips, deeded beach access and BBQ area. Perdido Grande consists of two mid-rise towers with 90 units each and both were built in 1999. Property amenities include a large indoor / outdoor pools, tennis courts, exercise rooms, steam saunas, assigned boat slips, kiddie pools, fishing pier and guarded entrance. Phoenix On The Bay I consists of 162 units built in 2004 on Wolf Bay. Property amenities include tennis courts, indoor heated pools, bay-front pools, lazy rivers, saunas, hot tubs, kiddie pools, bay front gazebos, BBQ areas, meeting rooms, and 24-hour security. For a list of all buildings, check out our Phoenix condos page. Phoenix on the Bay II consists of 104 units and was built in 2007 and has the same amenities as the first phase and both phases are next to one another. Porto Del Sol consists of 34 units built in 2005 near Perdido Pass in Orange Beach, Alabama. Property amenities include an indoor heated pool, river-front pool, steam sauna, hot tub, meeting room, BBQ area, kiddie pool, exercise room, fishing pier, and assigned boat slip. Porto Del Sol is also one of the closest marinas to the Gulf of Mexico. Wolf Bay Villas condos are located at the intersection of Hwy. 161 and Canal road in Orange Beach, AL and has boat slips available on a first-come, first-serve basis, Wolf Bay Villas are walking distance to two great local restaurants off of Canal road in Orange Beach. Romar Lakes condos does not have boat access, but is located in central Orange Beach, AL and walking distance to a variety of local attractions. The Moorings consists of 95 units built in 2005. Located in Orange Beach on Wolf Bay, property amenities include bay front pool, indoor heated pool, kiddie pool, steam sauna, hot tubs, fishing pier, meeting room, exercise room, BBQ area and 1st come, 1st serve boat slips. The Pass is 57 units built in 2002 on Old River at the base of Perdido Pass. The marina here is the closest and quickest access to the Gulf of Mexico on the Alabama Gulf Coast. Property amenities at the Pass consist of an indoor heated pool, river front pool, exercise room, fishing pier, available boat slips and a large gazebo / tiki bar on the pier. The Wharf consists of 190 condo units built in 2007. The Wharf's amenities set it apart from every other condo development in the area. The Wharf has an amphitheater that brings in talent from all over the world. A Ferris wheel, numerous restaurants, rave movie theater, huge water park with lazy rivers, conference center, and large marina are among the property amenities. 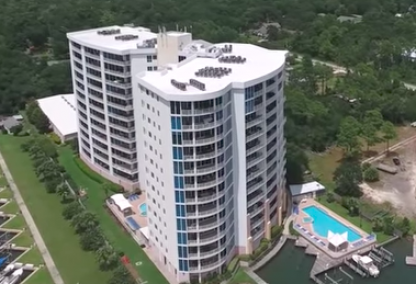 The Wharf's towers all have indoor heated pools, hot tubs, and exercise rooms Click to view aerial video of the Wharf in Orange Beach, AL. Turtle Creek Landing is comprised of only 8 units and was built in 2000. 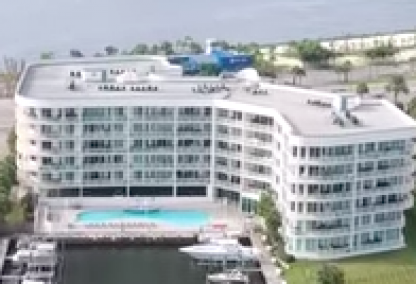 These condos have assigned boat slips and an outdoor pool. Villas By The Bay consists of 18 units built in 2006. Property amenities include an outdoor pool and 1st come, 1st serve boat slips. 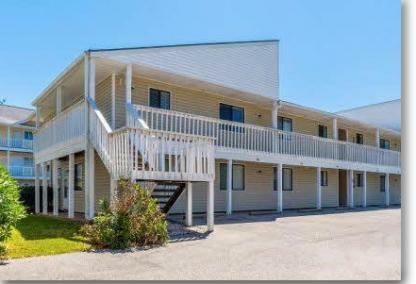 Vista Bella is near the Flora-Bama in East Orange Beach, Alabama and is one of the newer condos on Ole River. Vista Bella has water access. Wind Drift consists of 120 units built in 1984. Property amenities include an outdoor pool, trailer storage, fishing pier and 1st come, 1st serve boat slips. 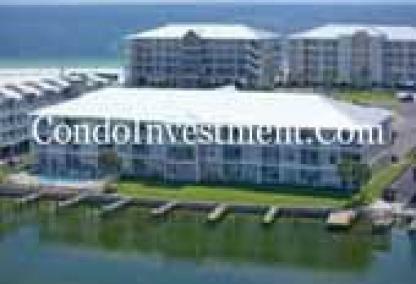 Grand Caribbean condo is located just East of 161 across the street from the Gulf of Mexico. The condominium is walking distance to several shopping centers and restaurants in central Orange Beach. The property has a boat launch on site. Back Bay condo is located off of Canal road on Terry Cove. Back Bay is a short run by boat to the Gulf of Mexico and close to a variety of Orange Beach attractions. 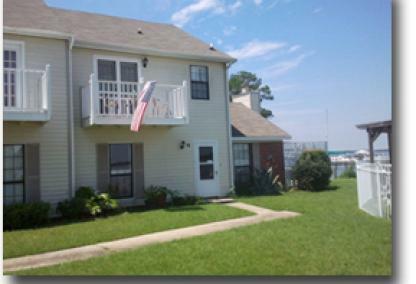 Charter Landing is a low density building with only 20 units located in the Terry Cove area of Orange Beach, AL. The floor plans are all two bedroom units and the complex was built in 1995. Mandevilla is a duplex located on a canal opening in to Terry Cove and a short boat ride in to the Gulf of Mexico. The 4BR units are approximately 3,170 square feet and were built in 2007. 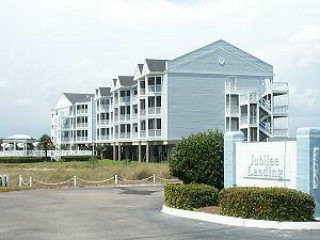 Jubilee Landing consists of 33 units built in 1985 and is located about one and a half miles East of the Perdido Pass bridge. The condos are located on Old River and floor plans range from 1 bedroom to 3 bedrooms units. Portside is a low density complex with 27 condos located in the Terry Cove area of Orange Beach, AL about one mile East of Perdido Pass. The condos are on Old River and were built in 1984. River Chase is low density with only 21 condo units and was built on 2000. 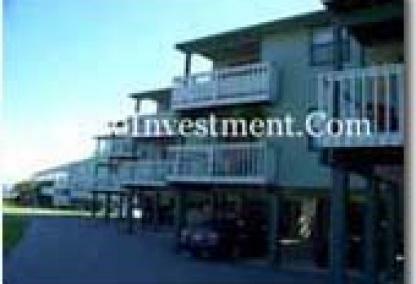 The condos are on Old River approximately one mile East of Perdido Pass in the Terry Cove area of Orange Beach, AL. Sea Scape is low density with only 33 units built in 1984. The condos have gulf views and beach access. The floor plans in Seascape are all 2 and 3 bedroom condos. The Grander consists of 26 condos built in 2007. 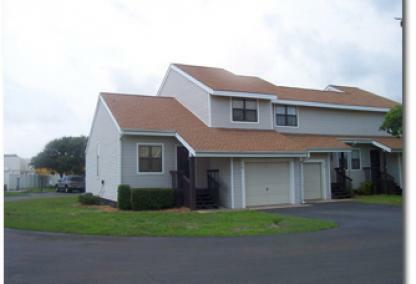 The floor plans are all 3 bedrooms and are located in Orange Beach, AL off of Canal road. The Grander does not have water access, but is close to public boat launches as well as the Gulf of Mexico. The Yacht Club is comprised of 20 condos built in 2006. The condos are located on the North side of Terry Cove and a short boat ride to Perdido Pass and the Gulf of Mexico. The floor plans for the Yacht Club are all 4 bedroom units. 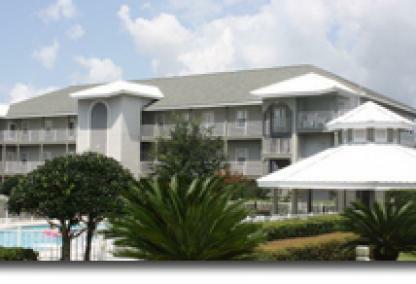 Walker Key is approximately 57 units located in Orange Beach, AL off of Canal road. Walker Key floor plans are 2 and 3 bedroom units. Magnolia Key Town-homes is located in Orange Beach, AL near the intersection of Canal road and Hwy. 161 in central Orange Beach, AL. Mariner Lakes is located in the Eastern side of Orange Beach, AL about 2 miles West of Perdido Pass. For more comprehensive info on condos for sale in Orange Beach, AL, we've listed as much information as possible including recently SOLD properties for each condo and subdivision in Baldwin County; our SOLD Quick Search alphabetically lists all condos for easy and quick access to find recent sales numbers. These listings go back for two years and provide every condo or home sold with the actual closed price and date allowing users to sort through these listings accordingly. We've published revenue info for all condos on the Alabama Gulf Coast including Gulf Shores condos as well as condos for sale in Perdido Key, FL too. 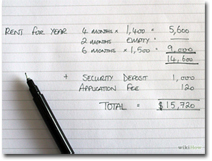 This info, along with example cash flow statements allows for users to visualize the costs of owning a condo at the beach and determine the out-of-pocket expenses. We've made researching beach condos from the comfort of home a reality, but always here to answer questions and provide help in your efforts. Below, find links for this revenue info and details on how we help our clients to improve their revenues using this and other websites and the social media pages in our network. Annual condo rental income varies greatly depending on numerous factors including: location, amenities, size, water access, views, rent restrictions and many other attributes. Click the link or the image left to view revenues for all Alabama Gulf Coast condos. *Please note - the numbers are based from one management company in the area. These figures are provided as a general guideline. The number of units in a particular building, owner usage and owner bookings are not factored in to the totals. For accurate rental revenue, please request a rental history for a specific condo for accurate rental history and info for future bookings on file. Also, our client condo network will significantly increase totals. Visit our "Supplemental Rental Network" page for info on this program and how it can help maximize your investment income for your Orange Beach, AL condo. ReadDeveloped in 1985, Back Bay condominiums are located off Canal Rd and overlook Terry Cove and the Perdido Pass. The complex offers two and three bedroom units with spacious floor plans and tasteful decor. The property amenities include a waterfront pool, gazebo, fishing pier, BBQ area, and fitness room. Boat slips are available and can be leased through the condo association. Back Bay is close to popular restaurants and The Wharf entertainment venue. 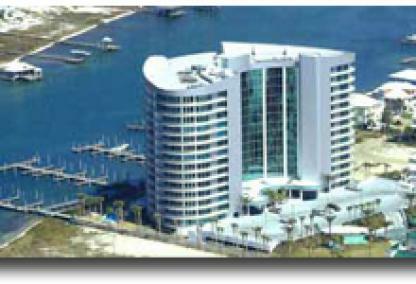 ReadBuilt in 2004, Bayshore Towers are located in the "Bear Point" area of Orange Beach and sit along the back bay. These condos are well-appointed with spacious floor plans, granite counters, gas fireplaces, and large balconies overlooking Terry Cove and Perdido Pass. Amenities include outdoor pools, tennis courts, & marina. Bayshore Towers is a quiet gated community and ideal for a second retirement or second home. The development is close to popular restaurants including Tacky Jack's and Cosmos. 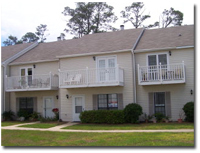 ReadBuilt in 1996, Bayview is a low-density condominium located on the southern part of Wolf Bay in Orange Beach. Theses 2 bedroom/2 bathroom residences with an average of 800 square feet of living space and offer covered parking spots and ground level storage rooms. Bayview amenities include a large pier with first-come-first-serve boat slips, private ramp, and trailer/boat parking. ReadBuilt in 1995, Charter Landing is a low-density development comprised of just 20 units. These residences are two bedroom/2 bathroom floor plans with 1,250 square feet of living area. The complex is located next door to San Roc Cay, an entertainment district featuring shops, restaurants, and a marina. Residents of Charter Landing have access to first come, first serve boat slips and a dockside community pool. 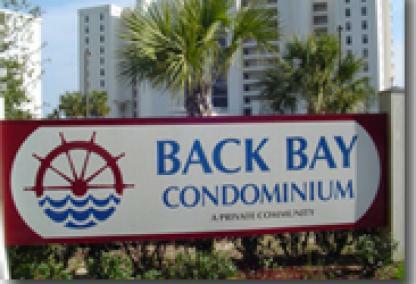 ReadDeveloped in the mid 80's, Cotton Bayou is a boat-friendly condo complex centrally located in Orange Beach. Sitting directly on Cotton Bayou, the development provides boating facilities including a boat launch, dock with 1st come, 1st served slips, fish cleaning station, and trailer storage areas. Other amenities include an outdoor in the middle of the complex, tennis courts, and covered parking. Boaters can quickly reach Robinson Island, a popular hangout spot, or the Gulf in 10 minutes. 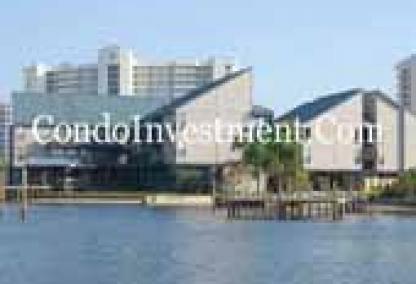 ReadDolphin Harbor is a low-density condominium set directly on Old River in eastern Orange Beach. Units are mostly 3 bedroom/3 bath layouts averaging 1,700 square feet in size. The complex offers deeded beach access across the street, boat slips, boat trailer parking, community pool, tennis court, and BBQ area. Condos at Dolphin Harbor make great beach retreats located minutes from central Orange Beach and less than a mile from FL/AL state line. 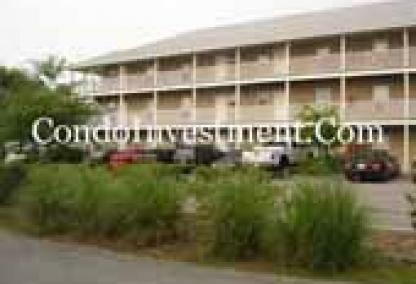 ReadGrand Caribbean is a low-density complex located directly across the street from the beach. The development sits adjacent to a public boat launch providing access to Cotton Bayou. These tastefully decorated condos provide gulf views and are available in 1BR, 2BR, and 3BR floor plans. Grand Caribbean features an outdoor pool, gazebo, BBQ area, and trailer/boat parking. The property is near Walmart & Publix grocery stores, restaurants, and many other attractions. ReadJubilee Landing is approximately 1.5 miles east of the Perdido Pass Bridge. Located on the quieter side of Orange Beach, these condos overlook Ole River. This low-density development holds 33 units and offers 1, 2, or 3 bedroom plans ranging approximately 600 to 1,400 square feet. Jubilee Landings offers first-come-first-serve boat slips, fishing dock, gazebo, waterfront pool, BBQ area, and covered parking. ReadDeveloped in the mid-80's, Lei Lani Tower is one of the rare condo developments offering units on the Gulf and Old River. Residents can enjoy outdoor pools and BBQ areas on either side. Other amenities include an indoor heated pool, tennis courts, fishing dock, and boat slips. Condos at Lei Lani feature 1, 2, & 3 bedroom floors plans and range from 680 SF to 1,300 SF. The complex is close to the state-line, restaurants, state parks, and is walking distance to the famous Flora-Bama beach bar. ReadMagnolia Key Townhomes are located in the heart of Orange Beach and sit directly on Wolf Bay. The exclusive community offers an outdoor pool, fishing pier, BBQ area, and boat dock with assigned slips. These quiet residences are ideal for a long-term rental investment or a second home. The development is minutes from many attractions and is adjacent to a popular restaurant, Doc's Seafood Shack and Oyster Bar. ReadMariner Lakes is a quiet community off Perdido Beach Blvd and borders Gulf State Park. Developed in the mid-80's, these two and three bedroom townhomes are minutes from public beaches, shopping, dining, and entertainment. The well-maintained complex offers an outdoor pool, tennis courts, clubhouse, fishing lake, and deeded beach access. ReadBuilt in 1983, Ole River is one of the older condominiums in Orange Beach and sits directly on Old River. The complex offers the best of both worlds with deeded beach access across the street and boat slips for those wanting to fish out in the Gulf or spend the day on Robinson's Island. The building consists of 1-, 2-, & 3-bedroom units offering views of Old River. The property features a waterfront pool, BBQ area, pier, a tennis court, and covered parking underneath the building. ReadPerdido Grande is a bay front, gated development on the northern side of Terry Cove. A boater's paradise, the complex has a large private marina with assigned slips holding up to 40' boats. Boaters can ride out to the gulf for deep-sea fishing or spend the day relaxing on Robinson Island. Perdido Grande units are available in 3 & 4 bedroom plans ranging from 1,700 to 2,400 SF. Onsite amenities include indoor/outdoor pools, hot tub, tennis courts, exercise facility, sauna, and BBQ area. ReadPhoenix on the Bay was built in 2004 and is a popular development among buyers and renters. Although not on the gulf, the complex makes up for it in boating facilities and onsite amenities. 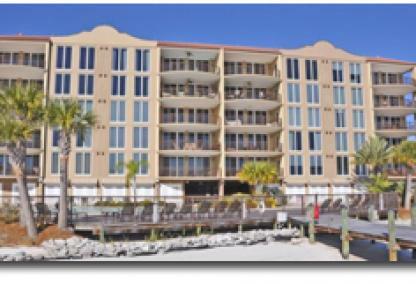 The condominium is directly on the bay with amazing views of Perdido Pass and Terry Cove. Amenities include a lazy river, outdoor pools with slides, hot tubs, tennis courts, fitness room, boat launch and boat slip rentals. Units at Phoenix on the Bay units are well-appointed with upscale furnishings. ReadBuilt in 2005, Porto del Sol is a luxury bay front condominium just west of Perdido Pass bridge. The upscale units are either three or four bedroom plans with living areas between 1800-1900 SF. Features include luxurious furnishings and a grand balcony overlooking the bay. Residents can take advantage of onsite amenities such as the outdoor/indoor pools, hot tubs, sauna, & boat slips. Nestled in a great location, the complex is walking distance to Sanroc Cay, marinas, and restaurants. 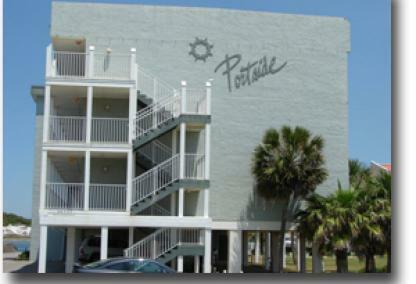 ReadBuilt in the mid 80's, Portside is a small condo complex holding just 27 units. These condos are available in 2 or 3 bedroom plans and provide great views of Ono Island and Old River. The complex offers a dock with assigned boat slips/lifts, fish cleaning station, outdoor pool, BBQ area, gazebo, covered parking, and assigned outdoor storage units. Stretching along the riverfront property is a sandy beach perfect for launching kayaks or paddleboards. Portside is minutes from popular attractions. ReadRomar Lakes is a tucked-away community on the west end of Orange Beach. Located directly behind Wintzell's Oyster House, the complex offers a private setting bordered by lakes and Gulf State Park. Built in 1997, the complex offers two and three bedroom units with living areas ranging from 1,050 SF - 1,300 SF. Residents have deeded access to the beach across the street and can easily walk to nearby restaurants. ReadThe Grander in Orange Beach is located right off Canal Rd on the northern side of Terry Cove. This exclusive boater's community offers a private covered marina with deep-water slips accommodating up to 60 ft boats. All units are spacious 3 BR/3.5 BA floor plans with 2,000+ square feet of living space. Condos feature upscale furnishings with GE appliances, custom cabinetry, 10' ceilings, and a private 2 car garage. Amenities include an outdoor pool, BBQ area, fishing pier, and gated entrance. ReadBuilt in 2005, The Moorings is a 95-unit bay front condominium located next door to Sportsman's Marina. The complex offers one to four bedroom units with beautiful views of Perdido Pass and surrounding bays. The Moorings features a massive bay front zero-entry pool, hot tub, exercise room, sauna, fishing pier, and a gated entrance. A true boater's paradise, it is just a short ride to the Gulf of Mexico or stay inshore pull up to Robinson's Island or several waterfront dining establishments. ReadBuilt in 2002, The Pass boasts the closest protected boat slips to the Gulf of Mexico. The development is located on the northwest side of the Perdido Pass Bridge and offers 2-, 3-, & 4 bedroom units with living areas ranging from 1,500 - 2,400 square feet. These condos feature spacious floor plans, elegant decor, wet bars, bunk nooks, and balconies directly facing the bay. Amenities at The Pass include a waterfront pool, indoor heated pool, fitness area, fishing pier, and marina. ReadThe Wharf is a premier entertainment and vacation destination in Orange Beach. 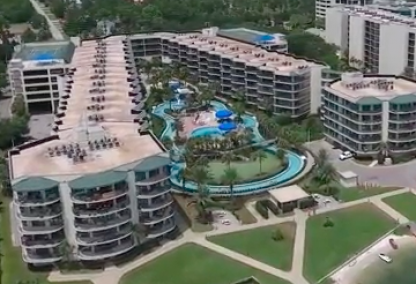 The Foley Beach Express concludes at this wonderful resort community featuring a number of retail stores, restaurants, marina, movie theater, and a 10,000-seat amphitheater. The development is home to many events including seasonal concerts, festivals, and deep-sea fishing tournaments. The Wharf offers well-appointed 1 to 4 bedroom condos with stunning views of the Intracoastal Waterway and Marina. 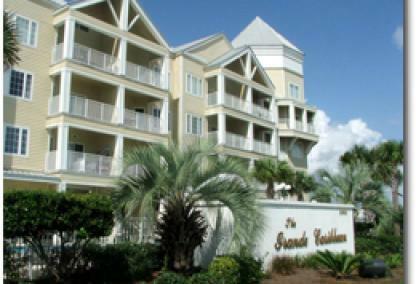 ReadBuilt in 2006, The Yacht Club Condominium is just off Canal Rd in Orange Beach. Sitting directly on Terry Cove, the luxury complex only houses 20 units with 4 bedroom/4 bath spacious floor plans and a living area of approximately 3,200 square feet. The property features beautiful tropical landscaping and boasts an outdoor pool, hot tub, fitness room, sauna, marina, and fishing pier. The Yacht Club is close to Orange Beach's recreation center, many restaurants, and the Wharf entertainment venue. ReadVillas by the Bay is a low-density bay front condominium comprised of 2 bedroom/2 bathroom residences with direct and indirect views of Wolf Bay. Each unit provides covered parking and ground level storage underneath. Onsite amenities include a gated outdoor pool, large pier with 1st-come 1-served boat slips with access to Wolf Bay and surrounding bodies of water. ReadVista Bella is a 14-story luxury condominium complex east of the Perdido Pass Bridge. These condos boast panoramic floor-to-ceiling windows and grandiose balconies providing unbeatable views of Old River and Ono Island. Units feature elegant furnishings such as granite countertops, custom cabinets, high ceilings, wet bars, and gas fireplaces. Vista Bella offers private boat slips, deeded beach access, pools, and gym. Flora-Bama, a popular entertainment venue is a short walk from the complex. ReadWalker Key is an exclusive waterfront community on Terry's Cove just off Canal Rd. The property is made up several types of residences from bayfront condominiums to 4 & 5 bedroom cottage-style homes. Every unit is assigned a boat slip with power and water connections. The complex offers 2 outdoor pools, fishing pier, gazebo, and marina. Walker Key is directly across from the Orange Beach Recreation Center and is minutes from popular restaurants and shopping centers. 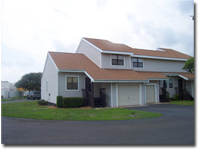 ReadBuilt in 1985, Wolf Bay Villas is a low-density condominium located directly on Wolf Bay. Units are available in 2BR/2BA floor layouts averaging 800 square feet of living space. The bay-front complex offers a community pool, outdoor BBQ area, fishing pier, and first-come, first-served boat slips. Wolf Bay Villas is minutes from public beaches and just a short drive to The Wharf entertainment district, restaurants, and shopping centers. Listing information last updated on April 22nd, 2019 at 12:47pm CDT.